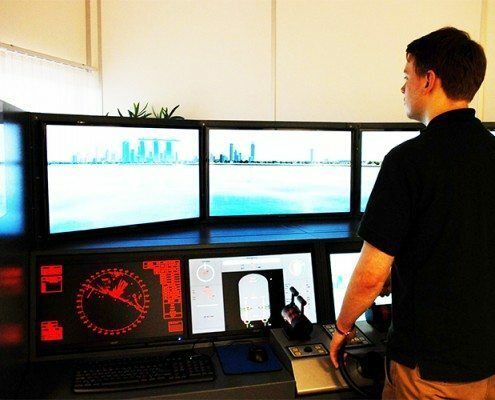 Why Choose an ECDIS Ltd Simulator? 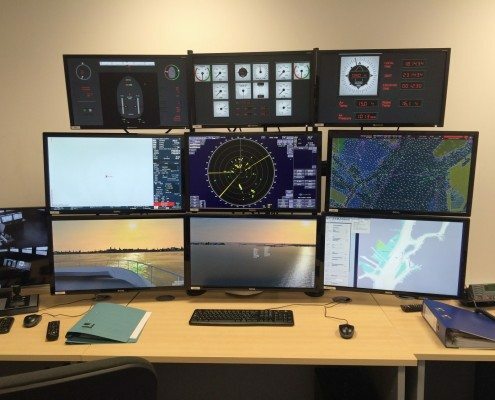 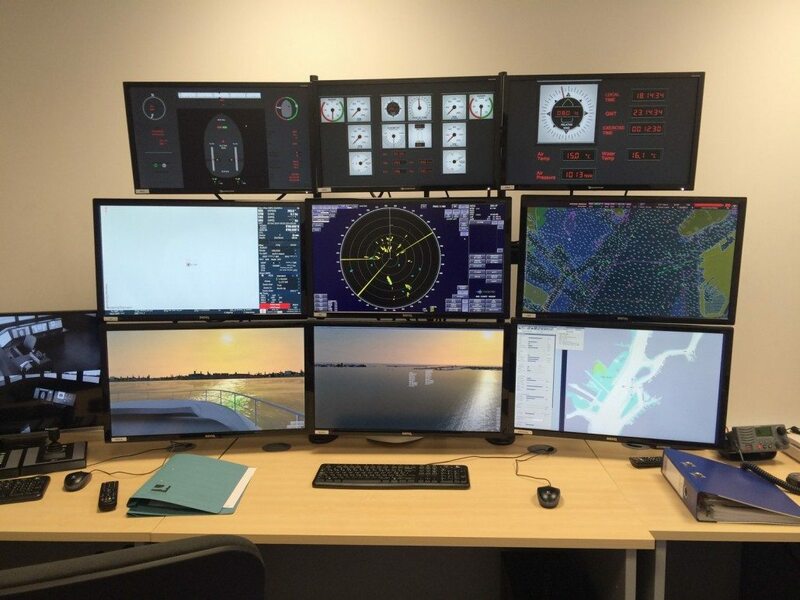 ECDIS Ltd offer bespoke full mission bridge simulators, bridge wing simulators and trainee simulator work stations, built to your exact specifications. 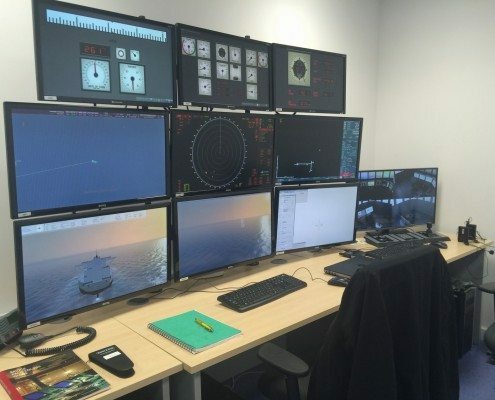 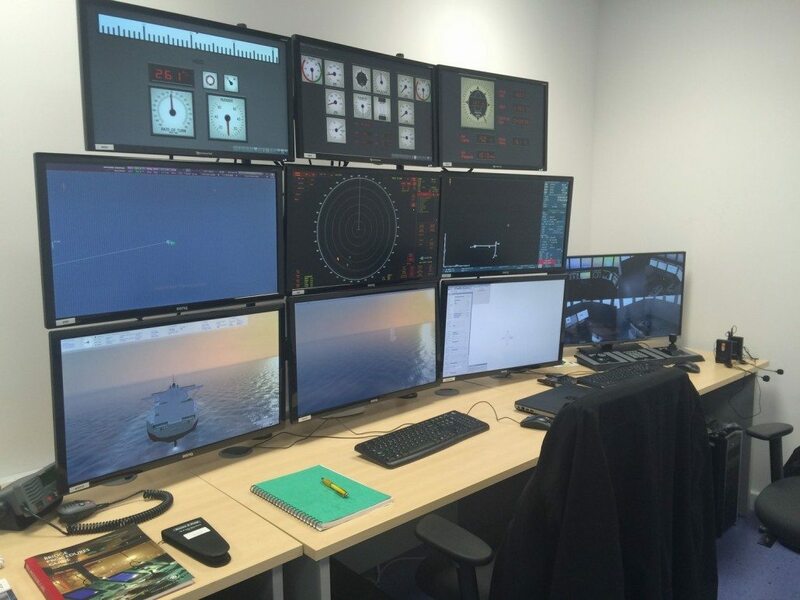 Our simulators can be used to train the full maritime industry. 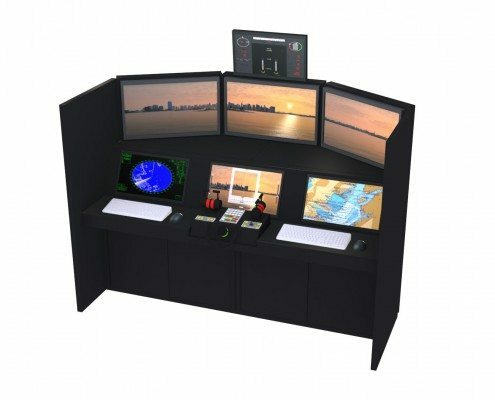 ECDIS Ltd have significant experience in the sleek design, construction and delivery of high-end bridge simulators. 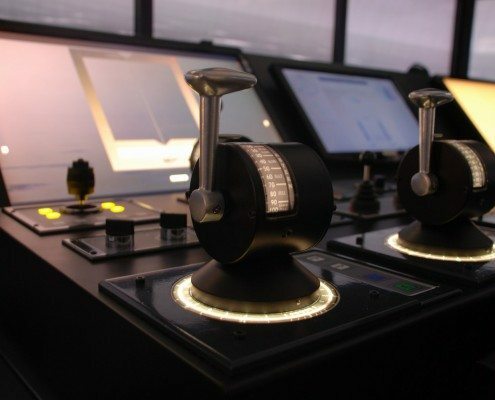 Compatible – Integrated with a wide range of ECDIS and other on-board equipment. Cost Effective – Relatively low cost, with high-end finish. 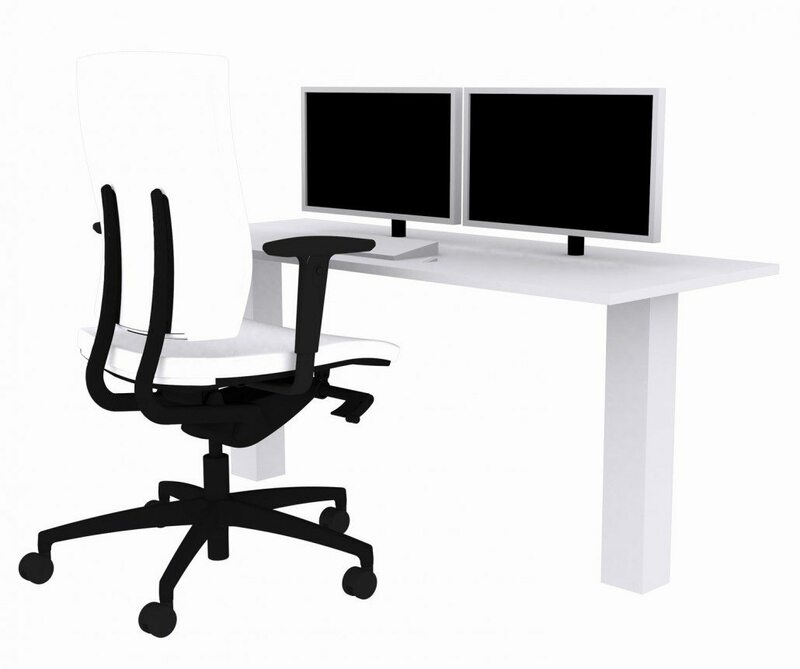 User Friendly – Easy to use drag and drop style user interface. 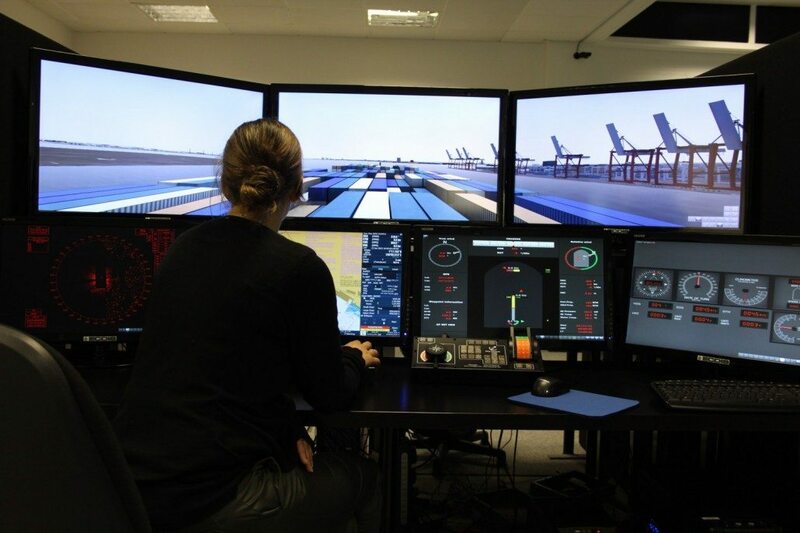 Efficient – Provides the ability to train groups of trainees all together. 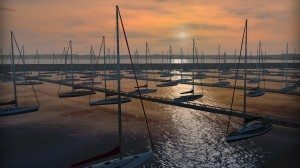 Excellent Quality – Outstanding graphical detail, including key landmarks. 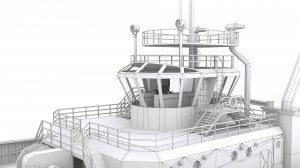 Flexible – Purpose built to meet your needs. 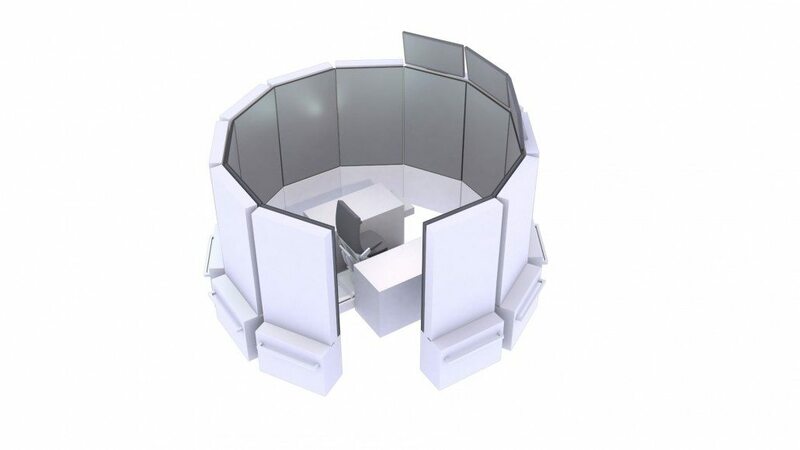 Compact – 360° simulator available in small footprints. 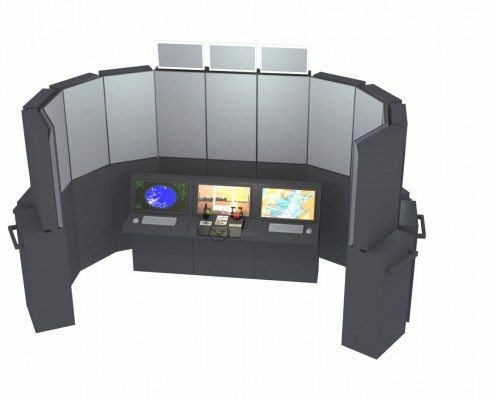 Communicative – Connect multiple simulators together in the same scenario. 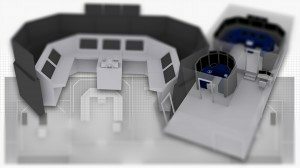 As part of your simulator build package, we are also able to create tailor made control units to fit your requirements. 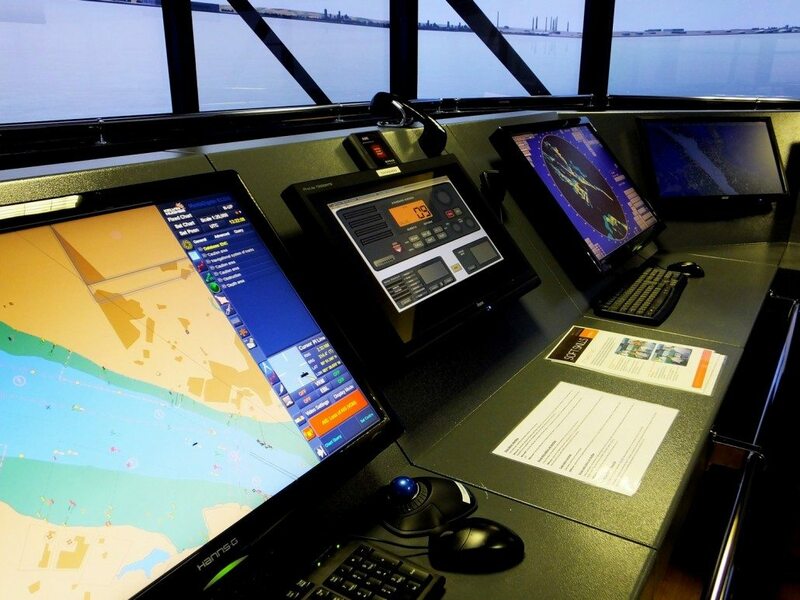 ECDIS can be integrated with any simulator build to help you meet the IMO 1.27 model course 2012 edition. 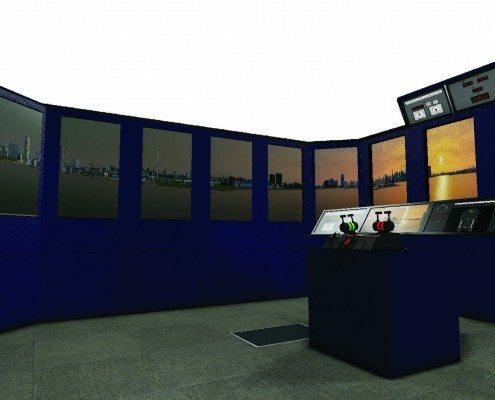 A one off simulator can be purchased to help with your in-house bridge training or a suite of six or more to satisfy the ECDIS training requirements in your training centre. 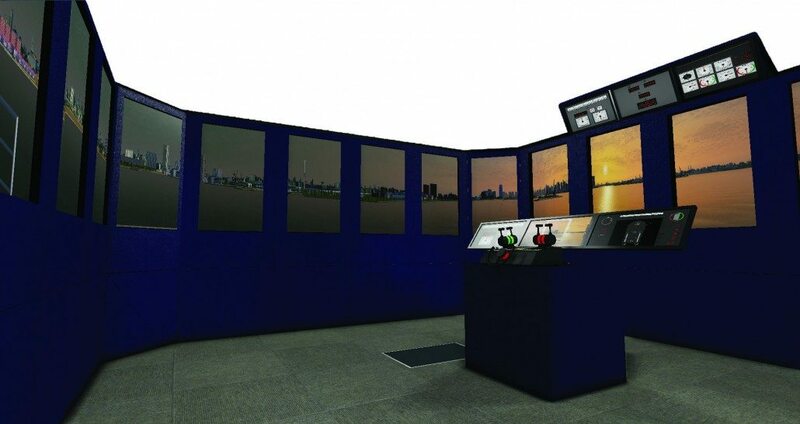 ECDIS Ltd offer a high quality variety of maritime and military training simulators as an affordable alternative for training your staff. 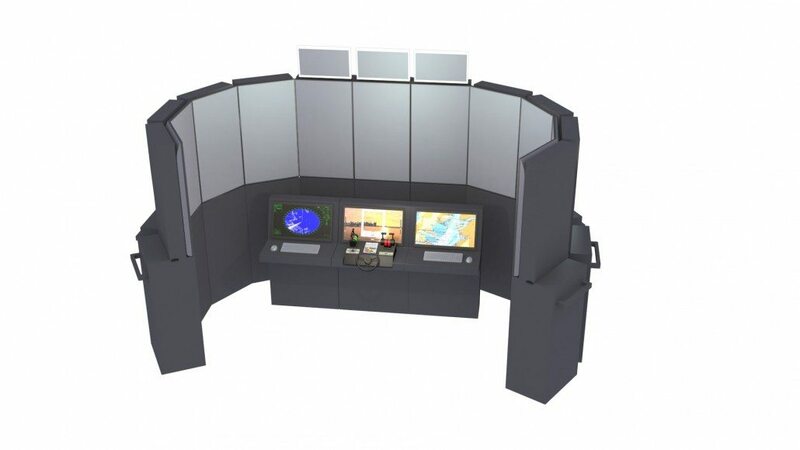 The simulators can be purpose built to meet your needs and can be fitted in a location of your choice anywhere in the world. 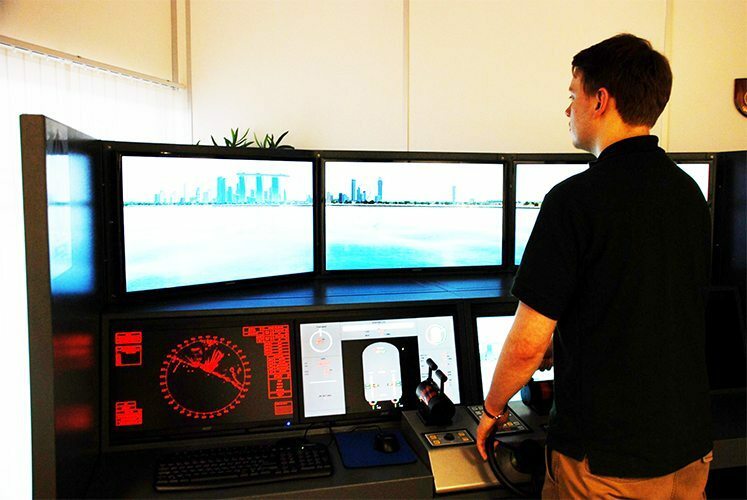 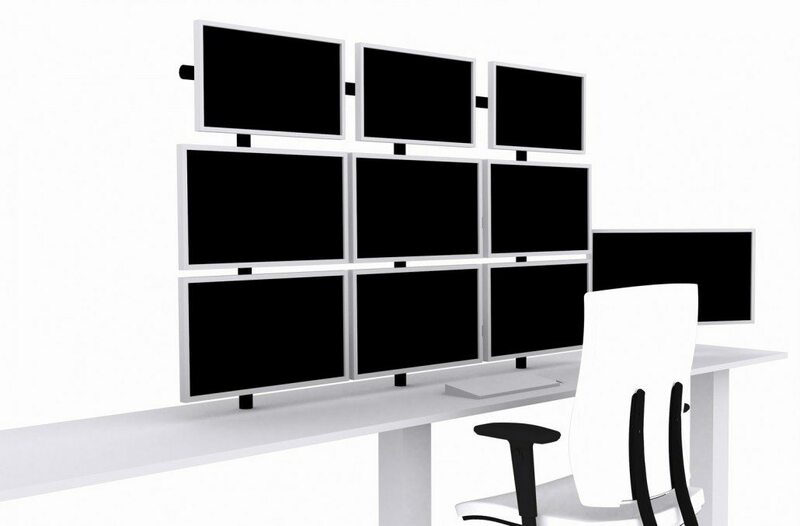 Custom built to your specifications ECDIS Ltd’s trainee simulator work stations have the ability to work independently or to communicate with other work stations, creating highly realistic training environments. 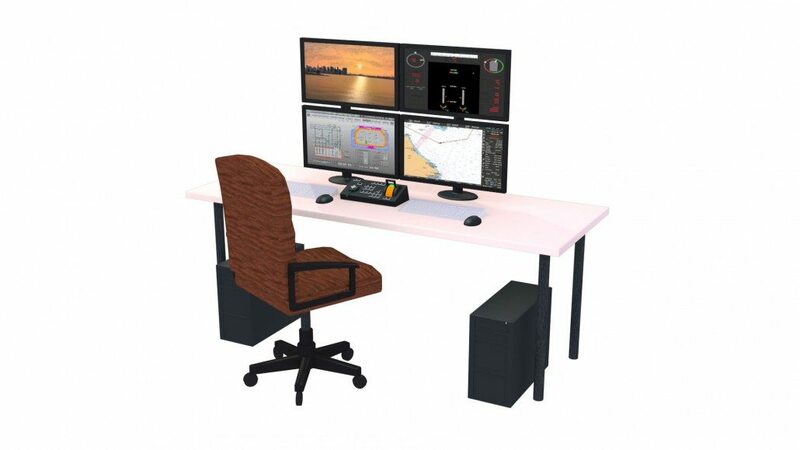 Create the most realistic training scenarios with the instructor work station to compliment your new trainee simulator work stations and full bridge simulator. 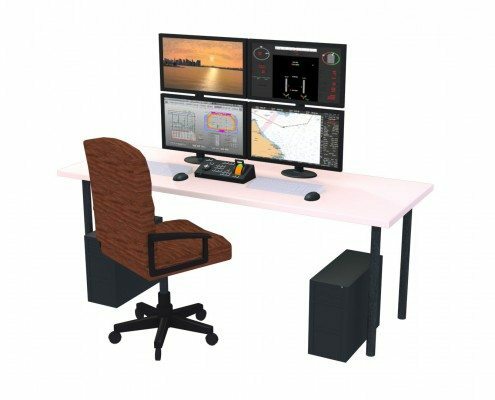 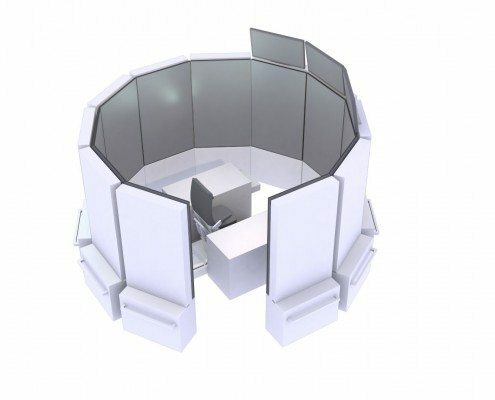 The instructor work station allows you to control the environments of the trainee simulator work stations all from one place. 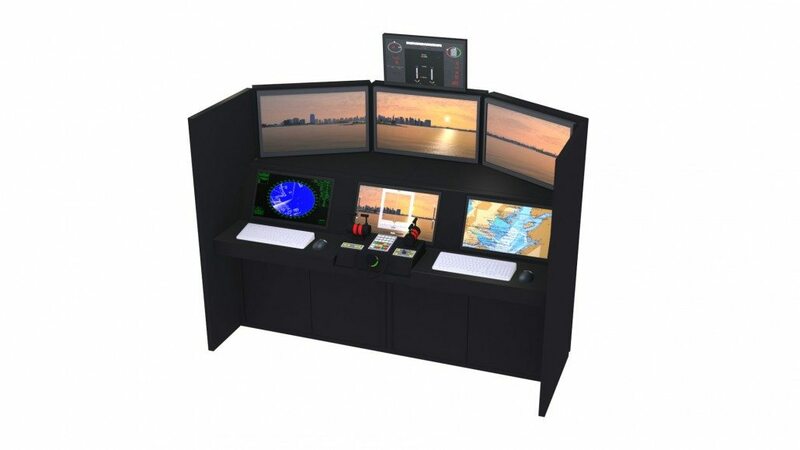 With options to select the environment, alter the weather conditions and change the time of day, the instructor work station means you can always train in the conditions you predict. 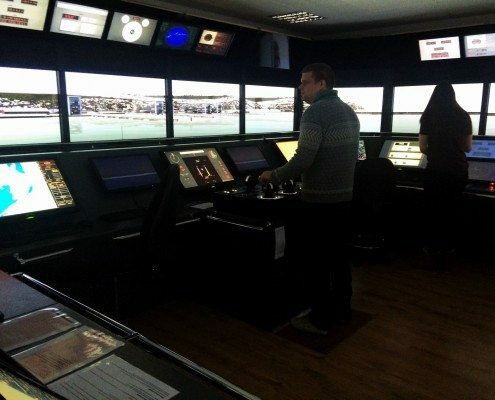 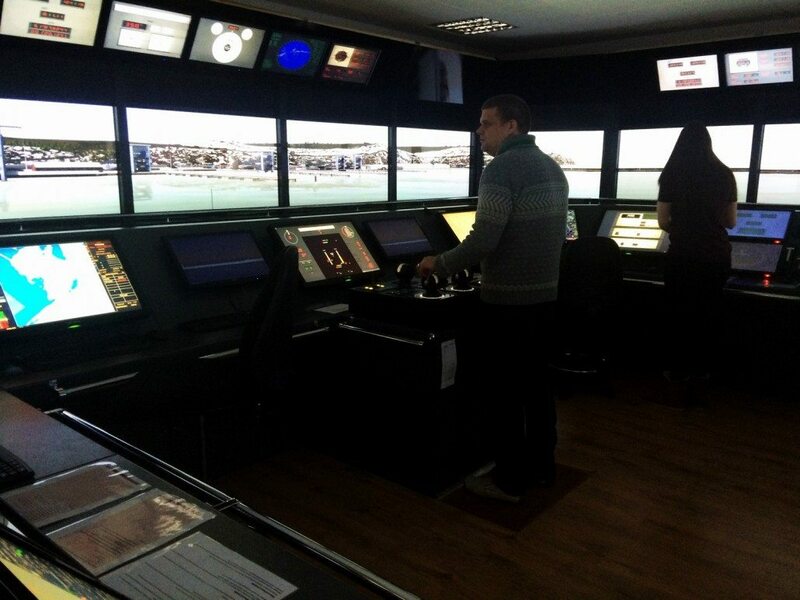 Bespokely created full mission bridge simulators, designed and delivered by ECDIS Ltd. 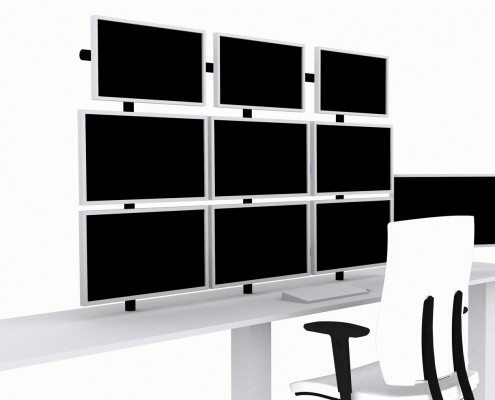 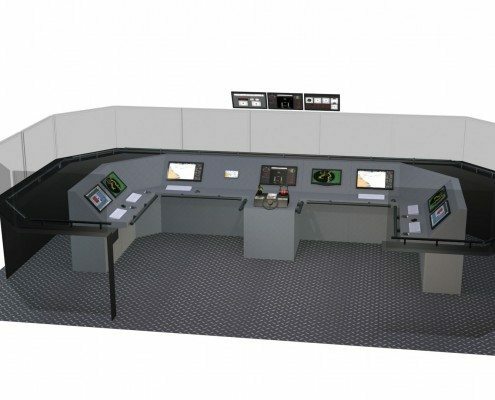 Whether it be in a spare back classroom or an entirely new facility, ECDIS Ltd have the ability to fit you your very own full mission bridge simulator made to the exact room requirments. 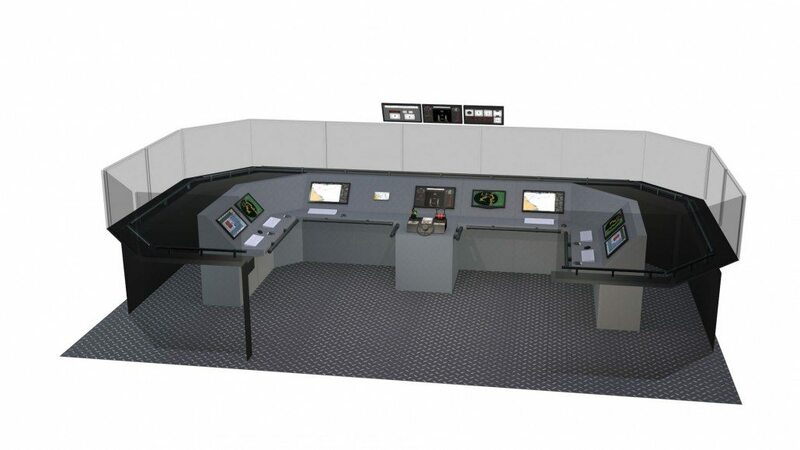 Integrated with the specific bridge equipment you require, our simulators are completely focused around you. 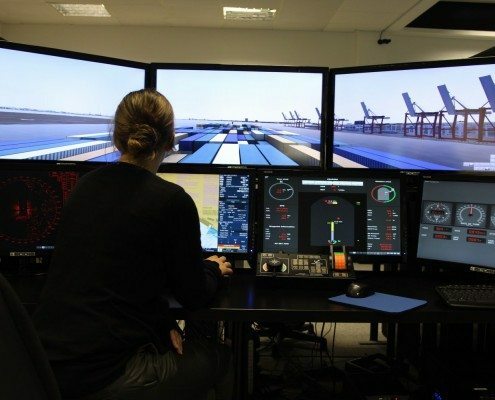 Add to the realism of simulated exercises with bridge wing simulators. 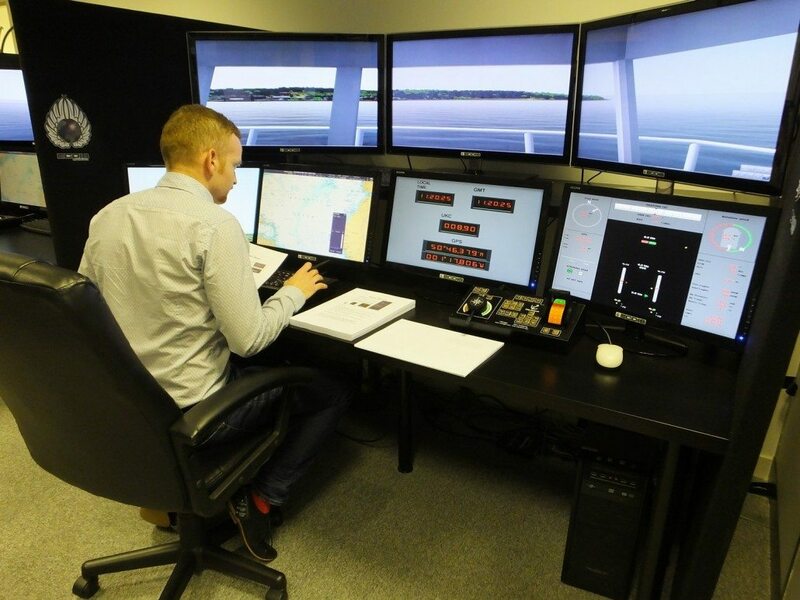 With custom features available, the bridge wing simulator can also be fitted with a floor screen for berthing. 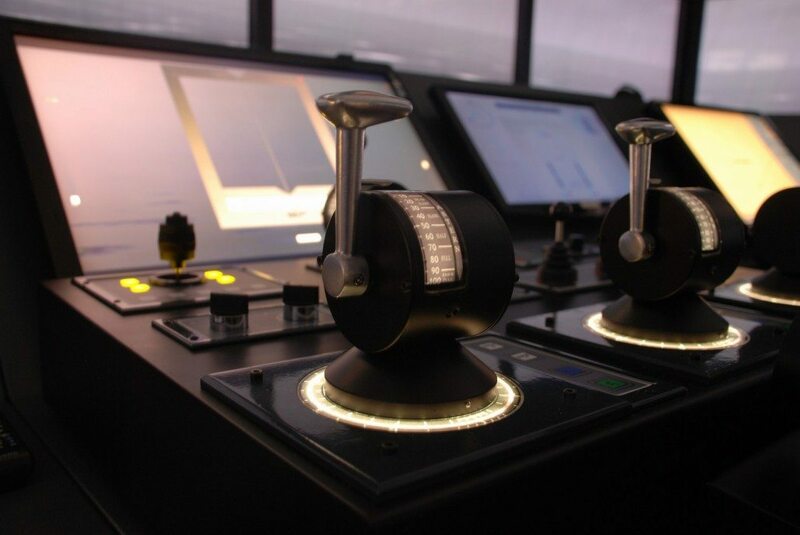 ECDIS Ltd offer pure flexibility with the option of customisable features. 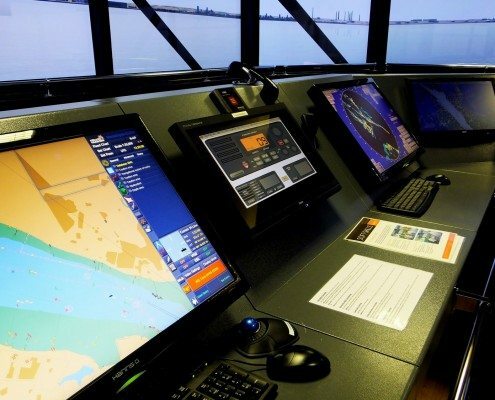 With the ability to fit the exact ECDIS you require, radars and various other on-board equipment, as well as touch screen technology, ECDIS Ltd’s simulators provide a realistic experience like no other.